Internet Explorer 8 introduced the idea of document modes as a way to transition websites from proprietary features to features based on standards and supported by multiple browsers and devices. Starting with Windows 10, document modes are considered deprecated and should not be used. Internet Explorer 11 will continue to support documents modes; however, Microsoft Edge will not support them. Make sure to update webpages and apps that require legacy document modes to support modern features, browsers, and devices. Windows Internet Explorer 8 introduced the idea of document modes as a way to transition websites from proprietary features to features based on standards and supported by multiple browsers and devices. Subsequent releases of Windows Internet Explorer continued this transition by introducing new document modes that emulated features supported by earlier versions while introducing support for features defined by industry standards. IE11 continues to support document modes. 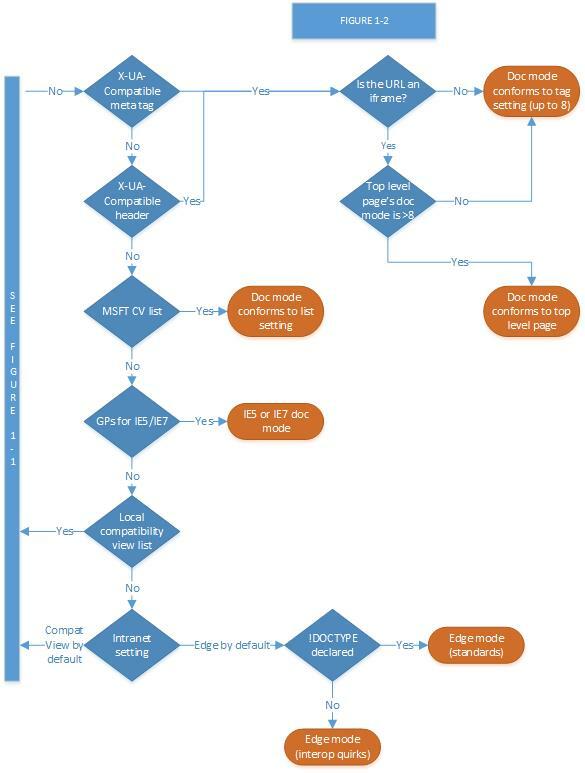 IE11 Standards Mode is the preferred document mode; it represents the highest support for modern standards available to the browser. 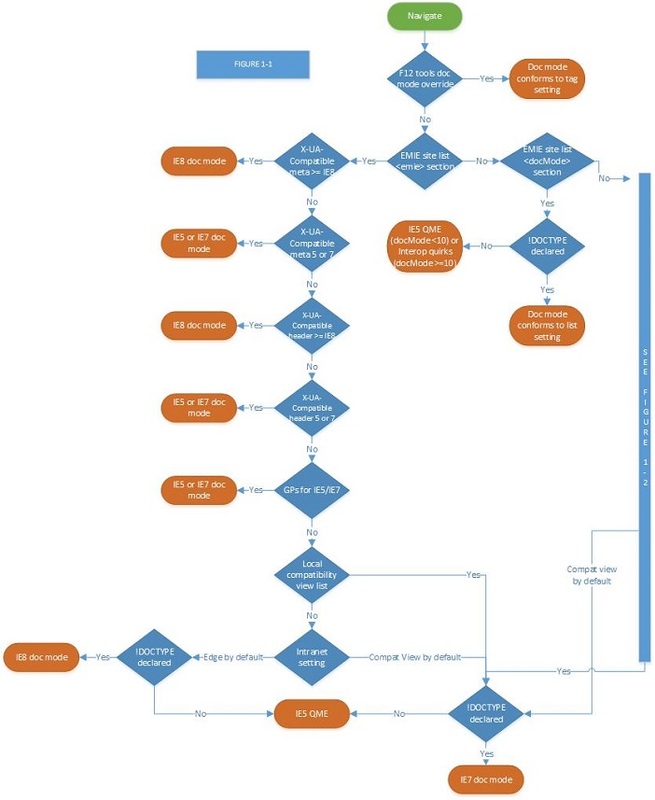 In the illustrations below, we show a flowchart of IE11's decision process for when document modes are used. When using Enterprise Mode, the default document mode is Internet Explorer 8. While this provides a strong emulation of that older browser, is it not an exact match. The way document mode for iframes is chosen changed in Internet Explorer 9, and Enterprise Mode does not undo the architectural change. Windows 10 supports GDI font rendering when using Enterprise Mode, but uses natural metrics when not in Enterprise Mode.